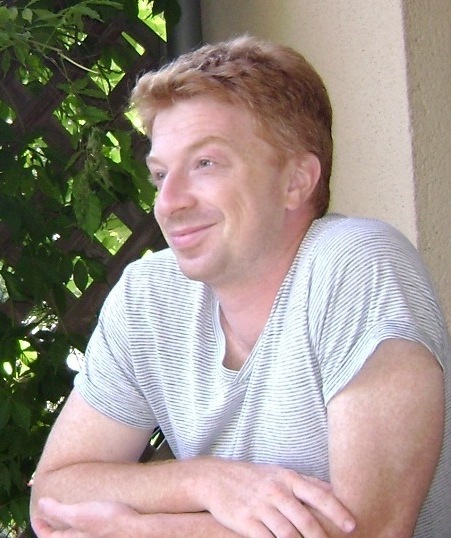 Nikita Nekrasov is a Professor at the Simons Center since 2013 and was a Visiting Professor to the SCGP in 2009 -2013. He earned his Ph.D. at Princeton University in 1996 under the supervision of David Gross. His dissertation was on Four Dimensional Holomorphic Theories. Nekrasov was a postdoc in physics at Harvard University, a Junior Fellow at the Harvard Society of Fellows in 1996-1999, and the Dicke Fellow at Princeton University in 1999-2000, before becoming a permanent professor at the Institut des Hautes Etudes Scientifiques. He is mostly known for his work on supersymmetric gauge theory and string theory. Nekrasov partition function introduced in 2002 relates in an intricate way the instantons in gauge theory and string theory, integrable systems, and representation theory of infinite-dimensional algebras. It led to the proof of the Seiberg-Witten solution of Donaldson theory, which had been one of the major unsolved problems in the Quantum Field Theory since 1994. For his discovery of noncommutative instantons together with A.Schwarz in 1998, noncommutative monopoles and monopole strings with D.Gross in 2000 and for his work with A.Gorsky on the relations between gauge theories and many-body systems he was awarded the Jacques Herbrand Prize of French Academy of Sciences, in 2004. For his contributions to topological string theory and ADHM construction he received the Hermann Weyl Prize in 2004. Together with D.Maulik, A.Okounkov and R.Pandharipande he formulated a set of conjectures relating Gromov-Witten theory and Donaldson-Thomas theory (by now some of them are rigorously proven), for which the four authors were awarded the Compositio Prize in 2009. In addition to his research and advising postdocs and graduate students, Professor Nekrasov has organized several scientific workshops and programs for the Center, including “Integrability in Modern Theoretical and Mathematical Physics” in 2012, “Quiver Varieties” in 2013, “Gauge Theory, Integrability, and Novel Symmetries of Quantum Field Theory”, “Strongly Coupled Systems Away From Equilibrium” in 2014, “Resurgence and localization in string theory and quantum field theory”, “Future Prospects for Fundamental Particle Physics and Cosmology” in 2015.